What's your favorite Priestess song? 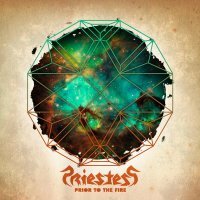 Sign this petition in order to get the Priestess band members know that their fans are still interested in seeing the band back together. First album that the band released way back in 2005 is called Hello Master and features 12 songs. Producer was Gus van Go. Best known song from this album was the "Lay Down" song, which was featured on the classic video game, Guitar Hero III: Legends of Rock. Second album is called "Prior to the Fire" and it was released in 2009. Producer for this album was David Schiffman. Making of this record caused was delayed by disagreements between the band and the record label. Ultimately it was released under a new record label, Tee Pee Records. 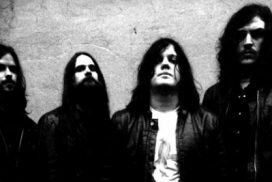 Priestess is a band that was formed in Quebec, Canada in 2003. 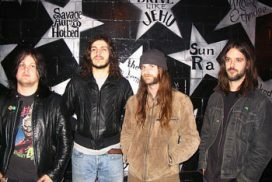 Founding members include lead singer Mikey Heppner, backing vocals/guitar Dan Watchorn, basist Mike Dyball, and backing vocals/drummer Vince Nudo. Band has been an obsession of mine ever since I was first introduced to them by my friends back in high school. That was in 2006, 11 years ago now, God how does the time fly. Around that time I was a huge fan of theirs and I've even visited a couple of shows. Band itself unfortunately went on hiatus in 2012, but I'm still a huge fan and I decided to make this website in their honor. For start, checkout footage of a live performance they made at SXSW captured by a drone with camera. Founding member of the band, Mikey Heppner didn't have much luck with his first band, Dropouts, which is a good thing. After everyone from that first band left, and he was left all alone, Heppner decided to change the band sound and recruited Watchorn, Dyball and Nudo to form the Priestess that we know and love. Their first album called Hello Master was released in 2005. First only in Canada, remember that's from where the band is, but then RCA Records bought the rights and made an international release. 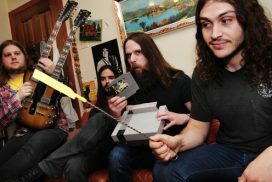 Song "Lay Down" from that first album was one of the biggest hits of the year, especially after being included in the very popular game, Guitar Hero III: Legends of Rock. I really enjoy watching drone captured footage from their early day concerts. If you're into drones too, you might be interested in this nice list of best drones for sale by DronesGlobe. Their first album made a splash among the critics. 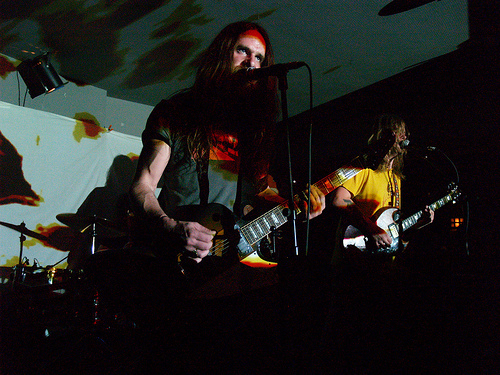 Priestess was frequently compared to the classic rock style of bands like Black Sabbath and AC/DC. They were the champions of the "retro rock" movement which was very popular at the time. 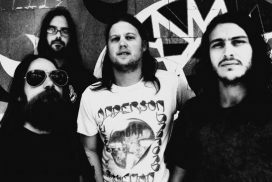 Heppner and the others are huge fans of those bands, so they were flattered when their own band was compared to their idols. Some of the critics however deemed that Priestesses music had a heavy metal/hard rock kinda vibe to it, which reportedly really confused the band. Band name didn't really help with the situation, since they named themselves the Priestess. People thought that the name sounded very heavy metal, and some thought that they were a Judas Priest cover band. All this confusion led the band to being invited as a supporting act for Motorhead, for the Canadian part of their tour. 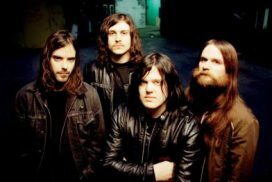 Their second album was completed at the end of 2008, but there were problems before, during and after the album release. Bands record label at the time, RCA Records didn't like any of the songs that the band wrote, and throughout the recording process they kept asking the band to write more songs, better songs. Eventually the band finished the album, but RCA wasn't happy with how the songs sounded and decided to cancel their cooperation with the band completely. Luckily they allowed the band to keep the song and album that they worked on was released under a new labels, Indica for Canada and Tee Pee Records internationally. Album name was "Prior to the Fire" and the band decided to go with a noticeably more progressive rock sound when making their second album. Song from the second album that made the most noise was "Lady Killer". Music video for the song was released in 2010, you can check it out down below. I like it a lot, although you can see that it was a departure from the musical sound found on their first album, especially the song "Lay Down". You can check it out and compare the two by watching the "Lay Down" music video down below. Listening to "Lay Down" reminds of songs from the Scott Pilgrim vs. the World soundtrack. If you're a fan of the movie you'll undoubtedly notice a similarity between the musical style found on "Hello Master" and songs found in Scott Pilgrim vs. the World. 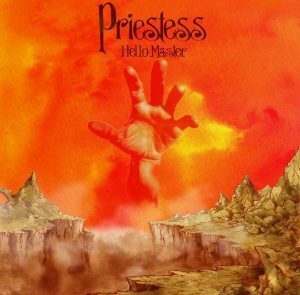 If you are a fan of Scott Pilgrim music, then definitely have a look at the Priestesses first album "Hello Master". Musical style of that album and the music found in Scott Pilgrim movie are very similar. Band tried to create a third album and there was even a talk about a tour, but eventually it was annouced in 2012 that all work on the album has been stopped and that the band was on a hiatus. Since then no effort has been made by the former band members to put the gang back together. Each of them has been engaged in their own separate projects. Reason for the hiatus were problems within the band which were never made public, and also bands belief that the new material that they had created isn't good enough to be released to the public. Only time will tell when and if the band will be brought back together. Mikey Heppner is the founding member of the band and was there from the beginnings. He got the idea to form a rock band when he was in college, where he met up with the people who would form his first band, The Dropouts. Heppner didn't have much success with his first band, only a couple of demos were recorded. Dropouts disbanded when side-project of Heppners band-mates called "The Stills" made a name for itself. 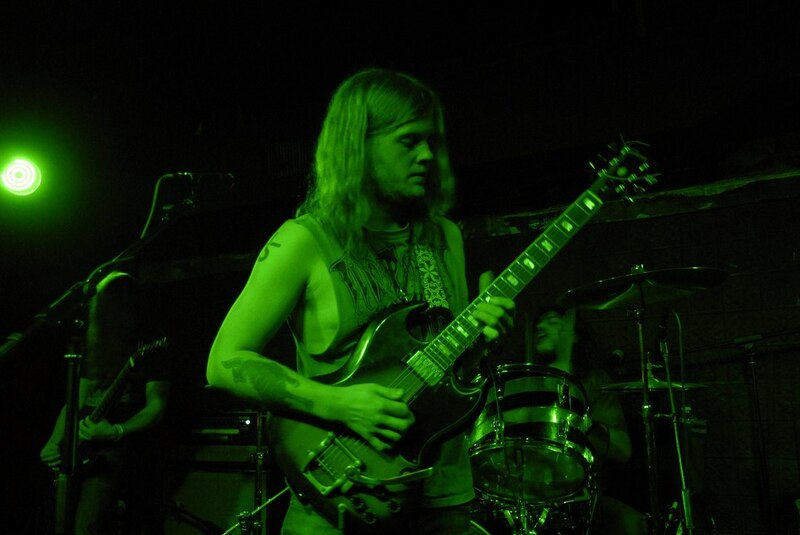 Dave Watchorn was the lead guitarist of the band and has met up with Heppner at college. Funny thing about Watchorn wasn't active musically at the time and only got interested in joining the group after Heppner played him demos that he has been working on. 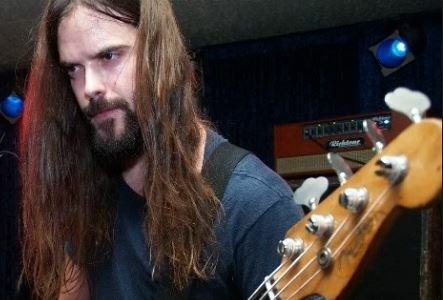 Mike Dyball joined the band alongside with an unnamed drummer which didn't last too long before being fired and replaced with the fourth band member, Vince Nudo. Dyball played the bass in the band, but also provided backing vocals, according to need. 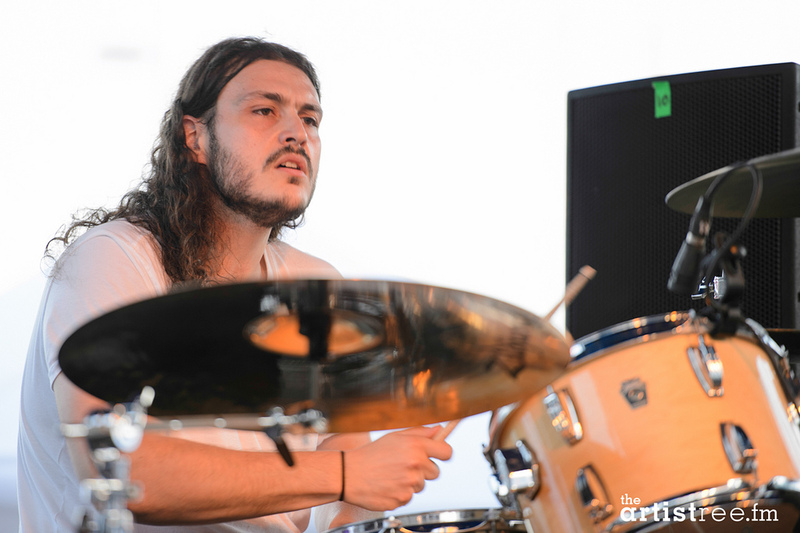 Vince Nudo last, but not least, to join the bad was the drummer Vince Nudo. Heppner heard Nudo play in a club where Heppner worked as a DJ. He was impressed by Nudo and invited him to join for a session with himself, Watchorn and Dyball. Legend has it that they ended up recording a whole new song during that first session together and that's how the Priestess was formed. 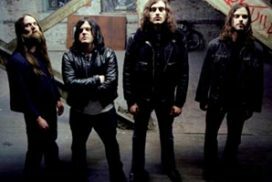 Priestessband.com is a website that I started as a fan appreciation project of mine. I also plan to use it for an effort to get the band back together. Let me just say that I am in no was associated with the band, and this is an entirely fan made effort on my part. You can read more about me by visiting the about me page. Also if you have any kind of questions or would like to get in touch with me you can do so by visiting the contact page that I've setup. As a huge fan of the Priestess, my hope is that the band is going to see this website and hopefully get back together once they see that there are still fans out there who care about their music. If a new album is out of the picture and not even a remote possibility, the fans deserve at the very least a new tour where songs from previous albums are going to be featured. It seems highly unlikely that something like this is going to happen, but you can't blame a fan for trying. I'll post band music, pictures and I'll start a petition for getting the band back together, so that they can see there are still fans out there that appreciate their work. I'd like it a lot if you would help with the effort. If you have any kind of input, or unpublished music that I could feature on the website, make sure to get in touch with me.